Appvn is an app store where all Android users can get thousands of apps and games that you may not get on the official Google play store. 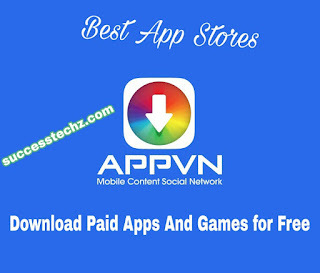 this Appvn is one of the best Stores apps that works on rooted and non-rooted devices. 1. You can download many paid apps for free to your Android device. and most of the popular apps on the play store are also available on Appvn. 4. Appvn will always notify you immediately there's a new update available for apps or games. appvn works on all Android and iOS devices. 2. Now open it. Then you will need to change the language to English by tapping on the MENU Icon. Next, Tap on ➧Cai dat to go to where you will change the language to English. 3. immediately you tap on ➧Cai dat, now tap on ➧Cai dat ngon ngur to Successfully changed the language to English. 4. once the language has changed to English, now you can now search any paid app on Appvn and download for free or visit google play store and find any paid app you want to download for free. 6. After watching the Video above am very sure you will understand more better. This is only the best and easiest way to download any paid apps free on Playstore.